I’ve been making a tea-cosy as a birthday present this week. Knitting it seemed inappropriate in the fresh warmth of summer, so it’s turned out to be a kind of collage. 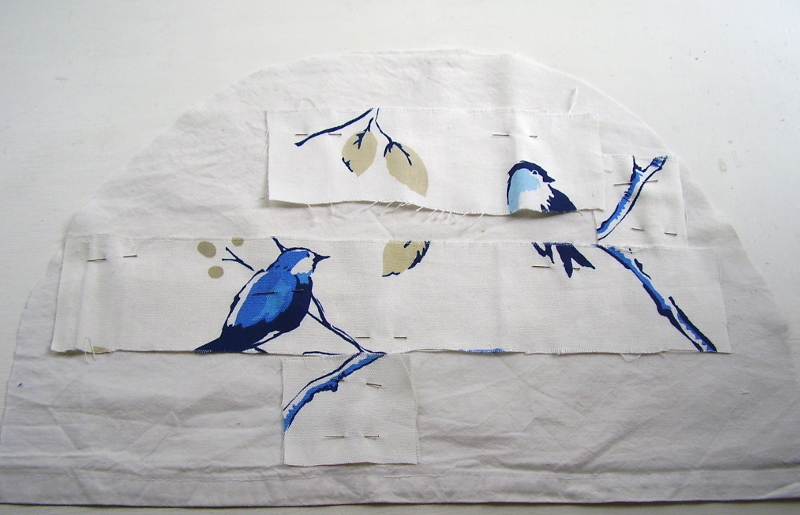 Why use scraps and draw it together with time-consuming stitches? I was watching the Sewing Bee’s alteration challenge, where they were trying to make something wonderful and new from the detritus of 1980s culture – the ski-suit. Three generations were working together, sharing skills and telling stories. Making sense of their experiences through this re-making, this integration of stuff and ideas – many originally mass-produced, cheap, and ephemeral. 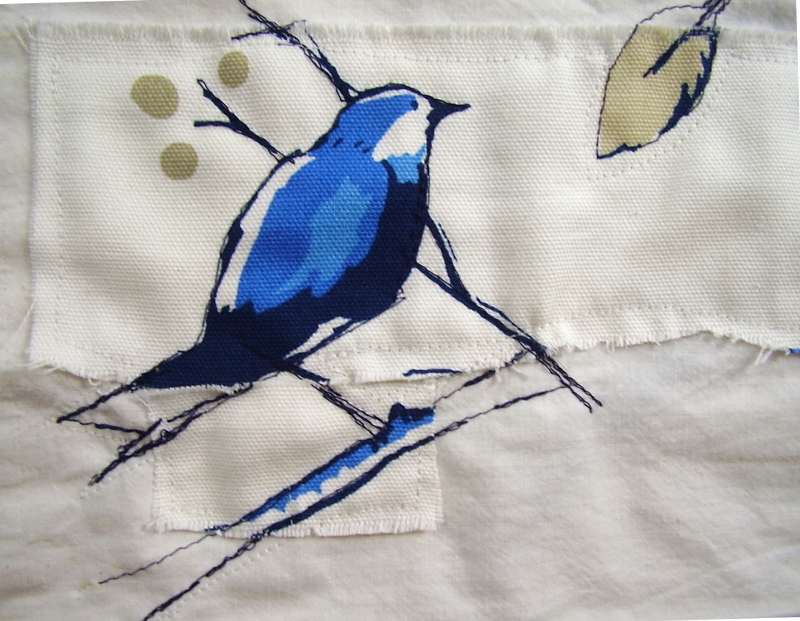 Looking back but also looking forward, they were using new technology (the ‘cover-stitch’ machine for Lycra) as well as one of the oldest skills of civilisation – needle and thread. 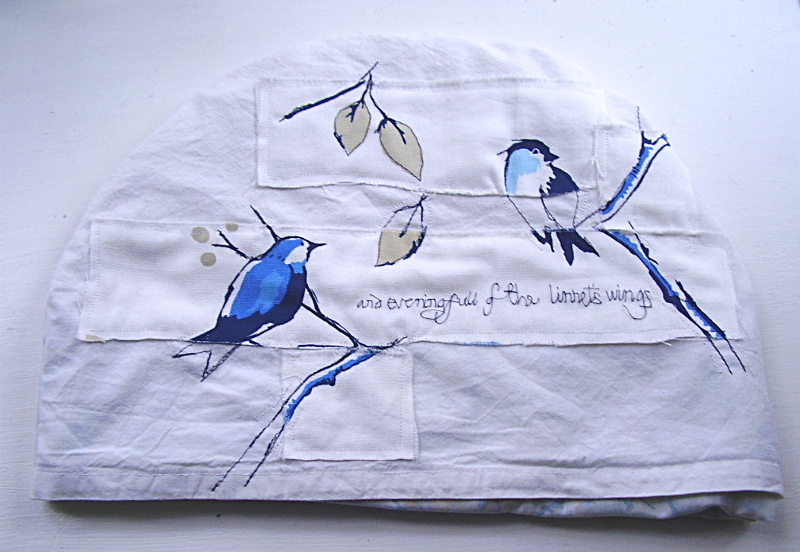 My own teacosy is a family collage – the bird material from the family home, the liner from some old trousers, the writing, a line of Yeats for the English MA recipient. 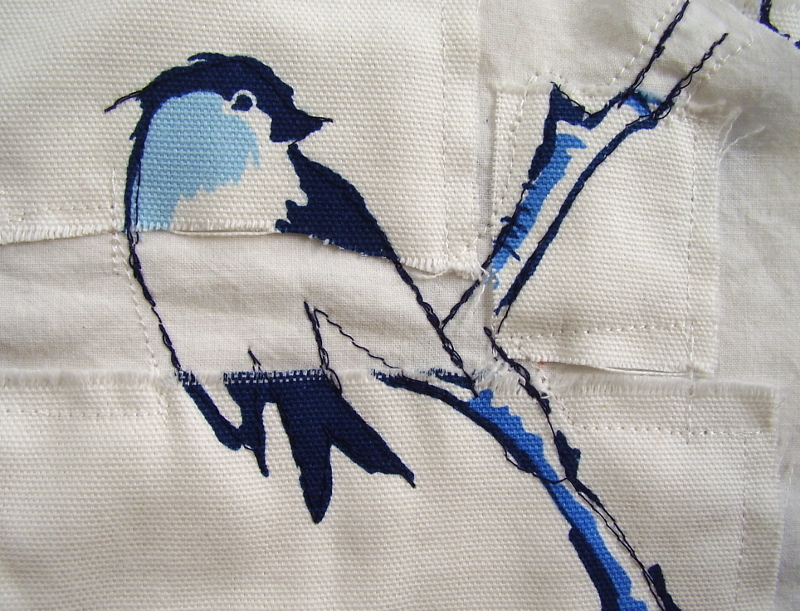 Literally drawn together – although my drawing is thread, it’s the same kind of stuttering, emphasising marks that would be done with ink or pencil on paper. It’s not all about money – no contestant in that sewing room or the bake-off tent is rich: they are making for friends and family, for love. It’s not all about capitalism. And that’s why it’s so great that bake off gets the accolades, and you can be proud of watching it. And spending time making tea-cosies!